Encircling Hawai‘i Island is an ancient coastal trail system that once connected all communities, known traditionally as the alaloa or alanui (long or large trail). In 2000, Congress established the Ala Kahakai National Historic Trail to preserve, protect, and where necessary, re-establish a 175-mile long corridor of the original trail's footprint. Though the trail does not extend to the island’s Northeast coast, the Ala Kahakai links four National Park Service units and numerous wahi pana (sacred or storied places) significant to Hawai‘i’s history and the preservation of Native Hawaiian culture. The Trust for Public Land has helped local communities, nonprofits, and government agencies to protect numerous cultural landscapes, including Kuamo‘o battlefield and the ancient fishing villages of Ki‘ilae and Kauleoli, all of which host portions of the trail. 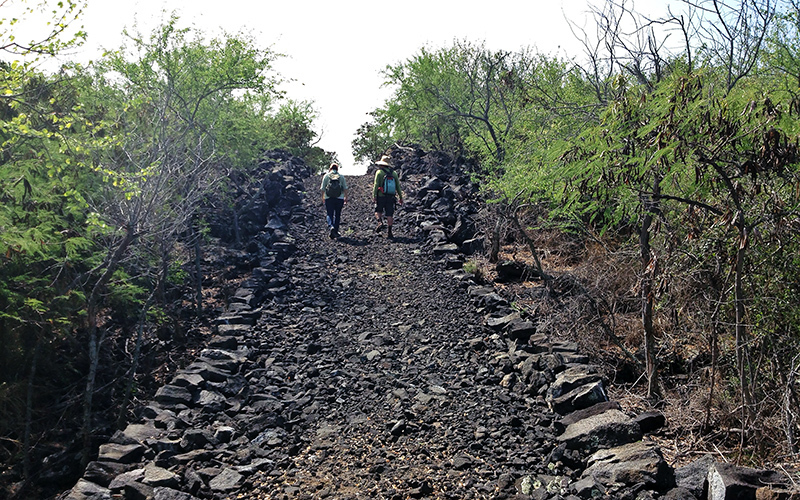 We are currently working to preserve additional trail sections in partnership with Native Hawaiian lineal descendants, the National Park Service, Ala Kahakai Trail Association, the County and State, and communities from around the island.